So while we all can consider ourselves professionals when it comes to shopping for ourselves, the same task can sometimes leave us at a loss when the recipients are our favorite guys. From dads, to boyfriends to brothers they always seem to have everything they could need (yet never set foot in a store, haha!). How does that even happen!? 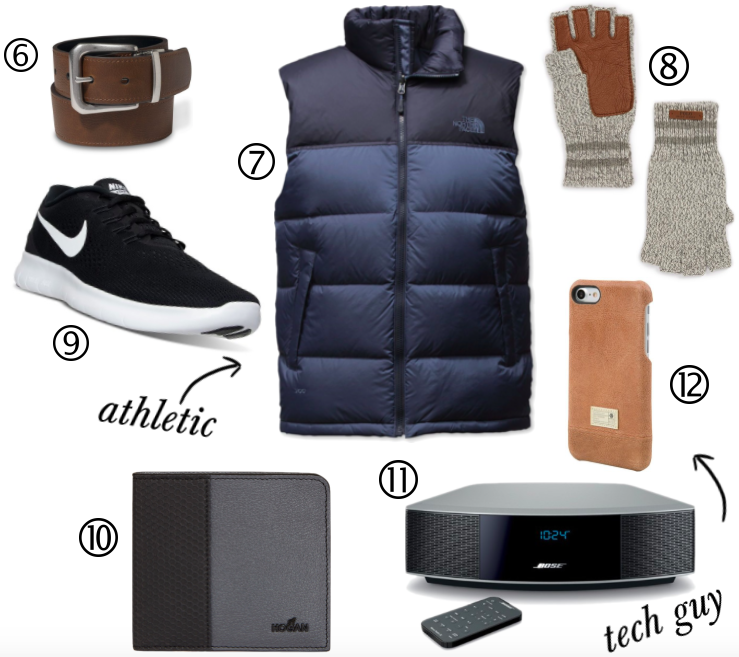 Well, today I'm sharing my top twelve gift ideas for the guys we love. 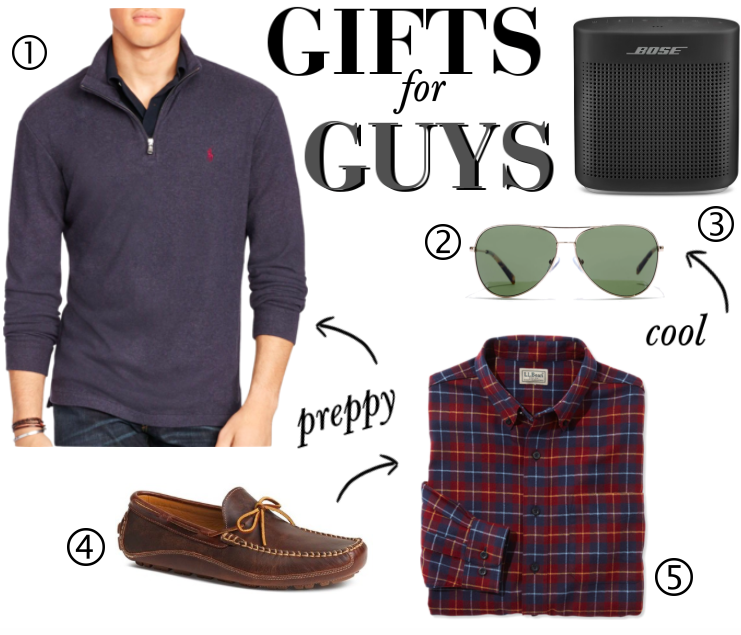 From preppy to techie, there's something perfect for everyone. My personal favorites are these sneakers and this stereo set. You can shop all you see here via the links below as well as few other sure bets. Happy gifting girls!